But when I am integrating SONAR with PHPSTORM I am unable to make it succesfull. There are no errors nothing. #1.Installed PHPSTORM in my LOCAL and selected a php project. #2.Configured Sonar Qube for PHPSTORM by fllowing -- https://github.com/sonar-intellij-plugin/sonar-intellij-plugin -- link. #3.And now If I test the connection it is showing success. 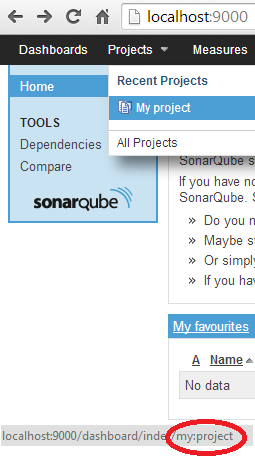 #4.When I am trying to inspect my code with sonarQube,and check the result on my sonar dashboard. #5.Here I am unable to see anything when I run Inspect code. Please help me on this ASAP,as I am struck on this. And have you expanded tree node for details? If my understanding is correct you are referring to the tree which is in PHPSTORM....? I have expanded the tree but I have seen this tree of result even before configuring sonar plugin. and analyze my local code and get results in PHPstorm itself rather than opening the URL of SONAR. I am expecting the same that ECLIPSE works for JAVA. After that in SonarQube web interface you will be able to get resource of your project as described at https://github.com/sonar-intellij-plugin/sonar-intellij-plugin in Resource part which you need to provide in PhpStorm settings. Please note that you will need to install PHP plugin in Sonar first and provide sonar-project.properties file in project directory as described on resources above. After that you should Right Click->Sync with sonar. New inspections will be loaded and PhpStorm will ask to restart. After that you will get expected functionality. You can find the "
" name specific for your project in the Sonar WebUI! When you're on the main dashboard of your SonarQube installation (e.g. http://localhost:9000/), you see the "Projects" section on the right listing all the projects you already ran an analysis for.1 When you hover the cursor over a project name in this list, the title/ hint you can see is the project's resourceId. 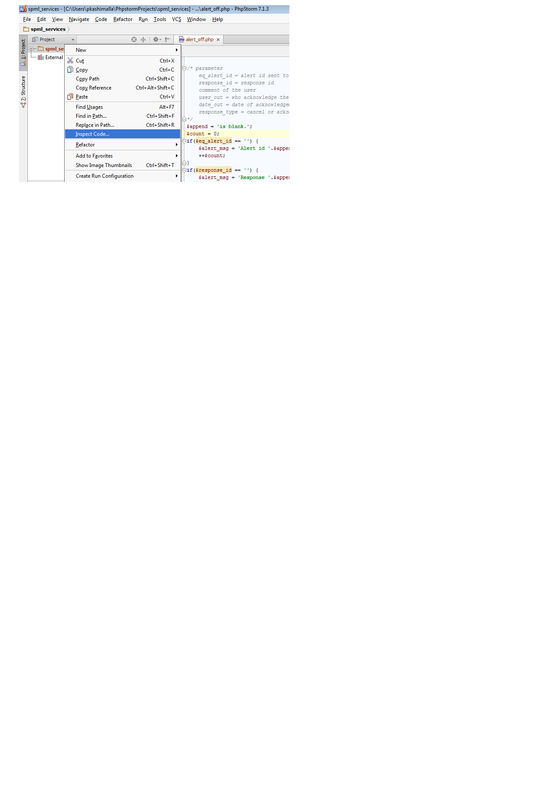 For Maven projects it also contains a colon like "
Please take a look at attached screenshot.